There’s this friend of mine, Ganesh (name changed for anonymity’s sake). He’s a school-college-buddy and lives near my place. We’ve known each other for over over sixteen years now. He’s a guy I adore and admire a lot, mainly for some of his principles which he holds strong. Even though fate’s played some nasty games with him, he’s come out of all adversities bearing a characterestic smile on his face (and a tika on his forehead – our friend’s a devout ‘Shiv-bhakt’). Like me, Ganesh always depended on KSRTC for his transport needs. That is, until he secured a well-paying job. He decided to put an end to the qualms of daily-commute by buying himself a good motorcycle. And he had no second thoughts about the model – he went for one among the best bikes in the market – The Yamaha R15 Limited Edition. Now, there are only a thousand of such bikes in the market which upped the oomph factor of the bike. The sudden step-up from mundane commuting to stylish biking was a shot in the arm for Ganesh. He would flash his new toy, zipping through the crowded streets, showing off his beauty. He was too humble to flaunt his bike. Yet, his babe was the object of our collective envy. Ganesh handled his ‘babe’ with utmost care. He would wash and clean it every day, following every rule in the owners manual down to the last dot. 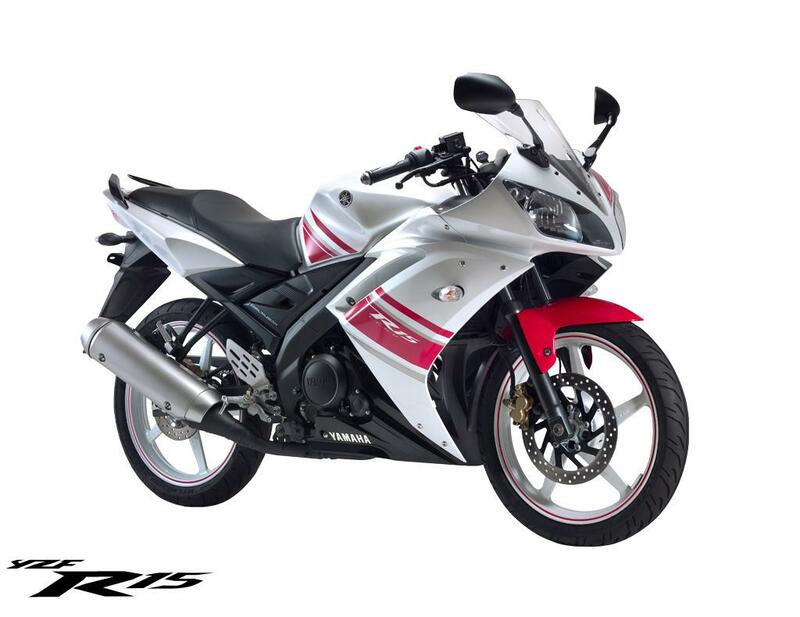 In fact, he was obsessed about the R15, albeit in a healthy way. One fine morning, Ganesh was all set to leave for office. He had an early appointment that morning, hence he’d woken up early to give his bike its daily wash. Making sure that every part of the macho bike gleamed like a new pin, Ganesh mounted his stallion. It was time to hit the road. Turning on the ignition, he pressed the start button. The familiar ignition rattle was music to his ears. The bike did not start. His faithful warrior always responded to the first attempt. Ganesh tried again. The ignition-noise emanated again and died down. He tried again. And again. And again. One of the few cons of the R15 is that it lacks kick start. Ganesh remembered his friend recommending him Pulsar 220 because of the same reason. He’d then decided to go against his friend’s advice. Ganesh wasn’t worried. It must be a temporary problem, he decided. He thought he’d wait for a while and try again. He waited, and tried another hand, to no avail. No matter however hard he tried, the bike failed to respond. Beads of sweat started pouring down from Ganesh’s forehead. He was running late for his appointment. After a few more tries, Ganesh threw up his hands in despair. He kept his bike back into the shed and took a bus to office. He was fifteen minutes late for his meeting, and his boss was certainly not impressed. After an abnormally-long day, Ganesh reached home, tired and panting. Before he retired to his bedroom, he pulled the bike out of his shed and tried another attempt, in vain. Dejected, Ganesh decided to call it a day. Bikes always have starting problems, he reassured himself. It’d be alright by tomorrow. For the next two days, Ganesh switched back to KSRTC for his daily commute. Day-in and day-out, he would try starting his bike, only to stand dejected and depressed. How could his brand new bike fall ill despite his careful attention? Machines have the same indiscretions as do humans, he realized. The very next day, he decided enough was enough. Ganesh called the nearest Yamaha service center. The mechanic said he’d drop by that evening. Ganesh was relieved. His baby’d be back in action within no time, he told himself. The mechanic promptly arrived, that evening (on a Yamaha RXG, nothing less). Brash and young, he was a Rajnikanth-worshiping chap, oozing ‘style’ in every movement. Humming a Rajni song, he gingerly unveiled an array of spanners and started work on the bike. He examined every part possible, trying to start the bike every two minutes. The ignition would sputter, and then stop. For a brief instant, the bike made a slight ‘vroom’ sound, much to Ganesh’s excitement. But then it died down, as soon as it started. Fifteen minutes later, the mechanic stood up and took a stretch. He took a casual glance at the bike’s right side. Suddenly, he fixed his glance at one point. He beckoned Ganesh towards him. His right index finger pointed towards the side of the bike. Ganesh saw it for himself. No sooner did he saw what the mechanic pointed, a smile, or rather, a sheepish grin developed on his face. Ganesh looked at the mechanic, who was now grinning back at him. hari mone so u dont buy bike. ok.
Hehe . It happens everywhere . normally we wish to be on the observer side rather than the victim . Any way u explained it on a cherishful manner . Seems u r a perfect blogger . Well done ! !